If Samir Pendse's parents had followed the usual route, they would have sought out organisations that help air appeal for bone marrow donations -- an appallingly slow process, partly due to the Asian community's reluctance to be donors. 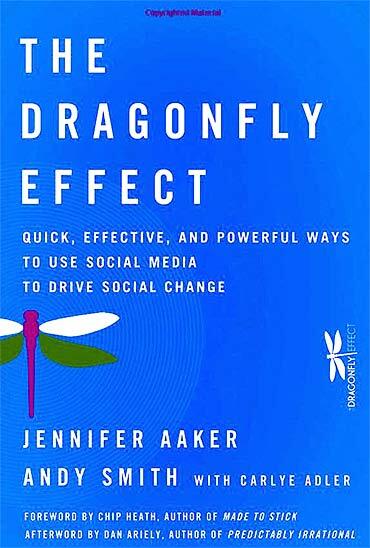 But Samir's smiling photograph, which appeared on Stanford Business School Professor Jennifer Aaker's Facebook page, and e-mails from some of Aaker's students collaborating with her on the just-launched One Hundred Thousand Cheeks project, reached wider, and faster. The outreach drew 62 people at the Freemont Hindu Temple near San Francisco, which had also sent out the e-mail at the request of the Stanford 100K Cheeks campaign, seeking help for Sameer, 18, battling relapsed leukemia. 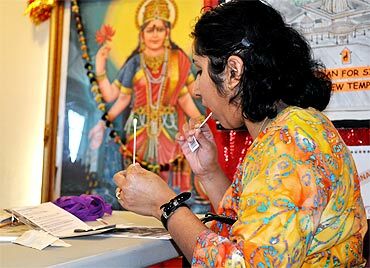 The 100k Cheeks campaign relies on social media to get 100,000 people signed up with the national bone marrow donor registry in America through cheek-swab drives like the one held at the Fremont temple. The project is also aimed at creating a similar movement across India, thanks to the inspiration Aaker, a social psychologist and marketer, received from a former student, Robert Chatwani, social media innovator and head of global citizenship at eBay, whose fight to find a bone marrow donor for his friend Sameer Bhatia using social networks is featured in Aaker and her husband Andy Smith's recent book, The Dragonfly Effect: Quick, Effective, and Powerful Ways to Use Social Media for Social Change. Another urgent appeal has gone for Sanjana Sahni, a mother of twins in Sunnyvale, California, who needs a marrow transplant to fight multiple myeloma. "The campaign is not limited to South Asians alone," said Stanford undergraduate student Vineet Singal, one of the two 100 K Cheeks team leaders. "But the need for bone marrow registry and educating our people about the painless and harmless process of donating has to be stronger." He pointed out that because of the lack of South Asian-descent bone marrow donor registrants, the chances of a South Asian finding a bone marrow match in the registry are 1 in 20,000. The chances for a Caucasian are 8 in 10. "We seek to get 100,000 more people signed up with the bone marrow donor registry by the end of the academic year," Singhal added. "We are determined to get 100,000 people, at least 80 percent of whom are of South Asian decent This diversification of the bone marrow donor pool will significantly increase the chances of South Asian cancer patients finding a match. What we are doing is unparalleled. We want to use Facebook, YouTube and e-mail marketing strategies and spread the word through Indian and South Asian social and religious organisations." Among the respondents to Sameer's appeal was Chaitali Nadig, who had come to know that marrow matches are almost always made among people of the same ethnic origin, and that there are just about 140,000 South Asians in the national bone marrow registry. "Looking at this kid's face in the e-mail and seeing how brave he is made me want to do something," Nadig told a Stanford publication. A donor was found for Sameer just as the 100K Cheeks project began to take small steps. 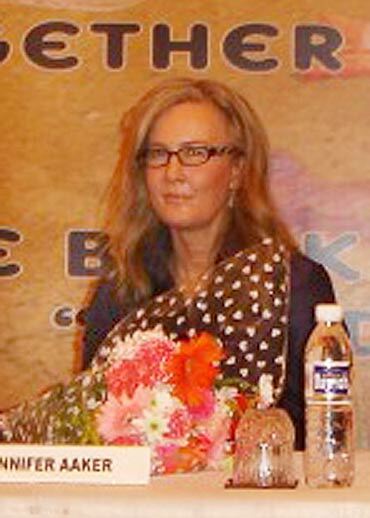 Meanwhile, Aaker visited India for the first time and spoke to students and businessmen about starting a marrow bone registry in India and offering help through her project. "We were able to welcome 350 people who offered to be part of the registry," she said. Aaker used to think social networking was a waste of time. "For years I had believed that the more time you spend on Facebook and Twitter the more narcissistic and self-involved people became," she said. She became a convert thanks to Chatwani, her student at the Haas School of Business, University of California, Berkeley, where she taught creativity and innovation in marketing before returning to Stanford. He had used social media to find a bone marrow match for his friend Sameer Bhatia, a Stanford graduate. Like other Indians, Bhatia had a 1 in 20,000 chance of finding a donor. Though he would succumb to leukemia a few years later, that a donor was found was no small achievement. Conversations with Chatwani convinced Aaker that social media can be used to create altruism and social good. "When you learn about something from your friends or people you trust through e-mail or Facebook, it's much more persuasive than a message coming from a corporation or someone you don't know," she said in an interview. "The students involved in this project and I have one big goal," she told Rediff-India Abroad. "We hope to harness research on social persuasion, happiness and emotional contagion to create infectious action," Aaker said. The project, which is looking for funding, is forging ahead thanks to the initial grants given by Stanford in reaching out to local high schools.